The AMWA President's Award is presented to individuals who have made outstanding contributions to the improvement of water supply management. 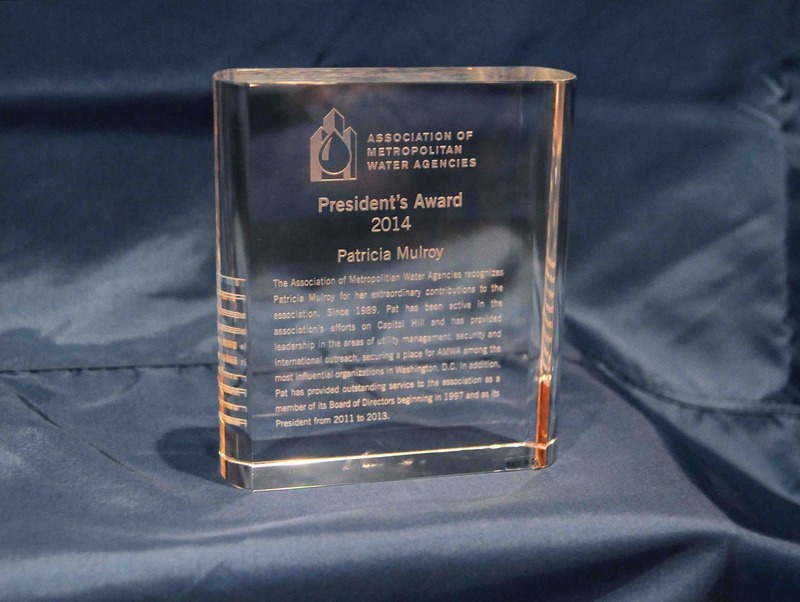 Eligibility for this award is limited to individuals currently or formerly representing AMWA member agencies and recognizes their efforts and dedication in the field of drinking water supply. Individuals nominated for this award must hold, or have held, a major position with a water supply agency while actively participating as a member of AMWA. The recipient of the President's Award is determined by the Nominations Committee, and the award is presented at the fall Executive Management Conference. Nominations are solicited in the summer by a bulletin from AMWA’s national office. 2016 John P. Sullivan, Jr.